Andrew Percy MP, Parliamentary Under Secretary of State (Minister for the Northern Powerhouse), has gone on Commons record to state that the devolution deal already agreed is the only deal that the Government is interested in for the Sheffield city region (SCR). He added that promised £900m "gainshare" funding, delayed due to legal battles, could be brought forward, but only if a number of hurdles can be overcome. Following a legal challenge, local authority leaders stated that it is not possible to hold a Mayoral election in May 2017 as planned and that they would now work towards elections in 2018. Devolution consultation will need to take place again. The delay has meant that the Local Enterprise Partnership (LEP), which is responsible for a number of economic development and business support programmes, is set to scale back activity and look at its structure until the guaranteed money from the Government comes through. The deal includes an envelope of £30m a year for 30 years – giving the SCR the power to use new funding to boost local growth and invest in local manufacturing and innovation. In return, the Government will require a directly elected mayor to hold accountability for the new powers. The SCR will not receive its gainshare investment until the Mayoral Combined Authority powers order, which gives the area the legal tools it need to deliver the deal, has received consent through Parliament. Speaking in a Commons committee today to postpone the date of an election of a city mayor to May 3 2018, Andrew Percy, said: "I want reiterate the Government's commitment to the devolution deal that we have negotiated with the Sheffield city region which we signed in 2015. It will not only transfer significant powers, around a whole range of policy areas, but also inject more than £1 billion into the city region to boost growth. "This is the only deal on the table for the area and I trust that local leaders are as committed to this as the Government. There have been some alternative proposals around devolution for Yorkshire as a whole but I want to make absolutely clear and on the record this morning that the Government is committed to the Sheffield city region and has no interest in negotiating outside of that." Percy also called on the leaders of the four South Yorkshire councils to confirm their commitment to the SCR deal and was asked by Barnsley Central MP, Dan Jarvis over whether some of the £900m of funding could be released ahead of the now delayed mayoral election. The minister responded: "It is a fact that we have, in previous devolution deals, made advanced payments on the gainshare funding ahead of the elections taking place for the mayor. There are no specific requirements but what we would wish to see in this case is the consultation taking place and for the powers orders, and some of the other orders, to have passed through this house. "What we also require is an absolute, cast-iron guarantee from the four leaders of the local authorities that they are fully committed to this deal. "It is possible to make gainshare payments before the mayoral elections take place and that is something we would be prepared to look at." 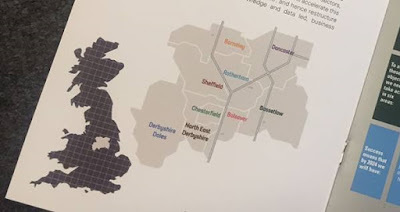 There was a warning that the deal could go the same way as the North East but Percy was positive, adding: "This is a deal that the Sheffield city region asked for, is one that the four leaders of the constituent councils have agreed, and one that we plan to take forward. "If leaders in the Sheffield city region start to walk away from that, or start to look elsewhere, then the deal will have to be taken off the table and that would be the end of the matter - which I think would be very, very sad for the people of the city region given the nature of the scale of the devolution deal that has been agreed."